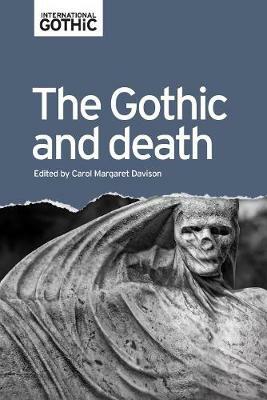 The Gothic and death is the first published study devoted to the subject of the Gothic and death across the centuries. It investigates how the multifarious strands of the Gothic and the concepts of death, dying, mourning and memorialisation ('the Death Question') have intersected and been configured cross-culturally to diverse ends from the mid-eighteenth century to the present day. Drawing on recent scholarship in such fields as Gothic Studies, film theory, Women's and Gender Studies and Thanatology Studies, this interdisciplinary collection of fifteen essays by international scholars combines an attention to socio-historical and cultural contexts with a rigorous close reading of works, both classic and lesser known. This area of enquiry is considered by way of such popular and uncanny figures as corpses, ghosts, zombies and vampires, and across various cultural and literary forms such as Graveyard Poetry, Romantic poetry and Victorian literature.